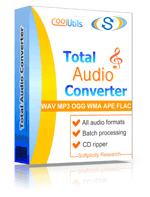 Convert OFR to WAV audio files online and without ads! Run the OFR to WAV Online Converter now or get our batch App for more! Description The inception of the OFR (OptimFROG) audio format is but another win against the ‘tyranny’ of MP3. OFR uses a lossless compression algorithm and high file size reduction (by 30-70%). The extent of compression depends on the density of audio data. Therefore, hard rock tracks require deeper compression than folk or classical tracks. Encoding is very fast: for AMD Athlon XP +1800, the real-time encoding speed for CD is 12.4x, and the real-time decoding rate is 17.4x. The format is supported by Windows and Linux.